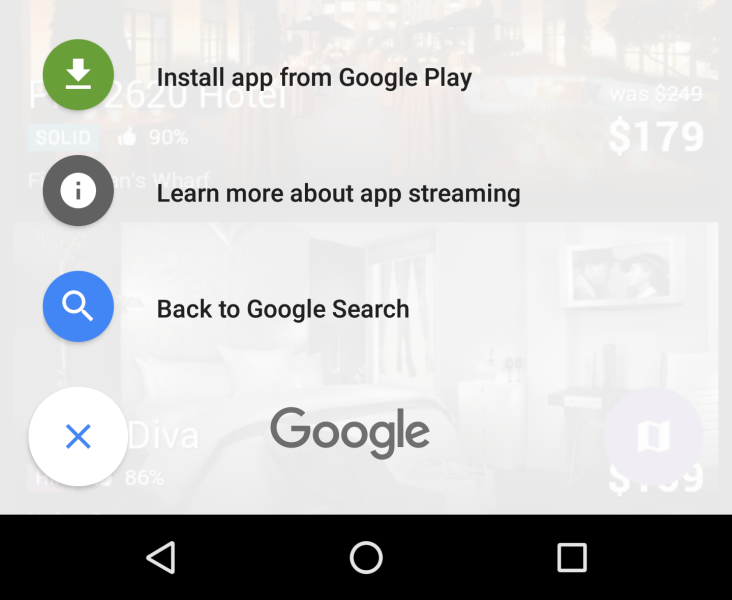 Home / Software / Installing apps is not necessary anymore – Google can stream them for you! The battle between search apps to take over the market is still on, making every developer improve their smartphone apps. Google is trying to consolidate its status as one of the most used search apps and is constantly improving its app so users will stay loyal to the company. 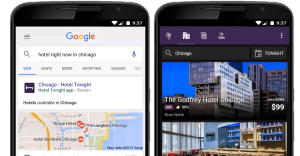 Now, they announced that a new feature allows the smartphone app to show some “app-first” content in Search, besides the regular results it has shown before. Basically, this means that starting Wednesday, the search app will display results from other apps, instead of just giving you the results from the web. This is due to the fact that the company has indexed the content of some apps so that users can also find information integrated into apps, instead of just relying on results from the web. Furthermore, the Mountain View, California- based company will start streaming some apps that users don’t have installed on their smartphones. 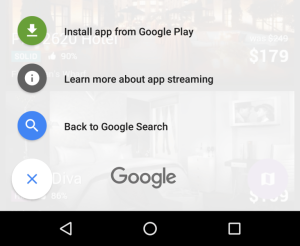 All users have to do in order to be able to stream apps is have a good WiFi and tap on the “Stream” button next to the app result in Google Search. By doing this, people will get a streamed version of the app that will allow them to quickly and easily find what they need. In the streamed version, users will be able to perform every action they could if they had the app installed on their smartphone. This can be done due to a new cloud-based technology that the company is currently experimenting with. 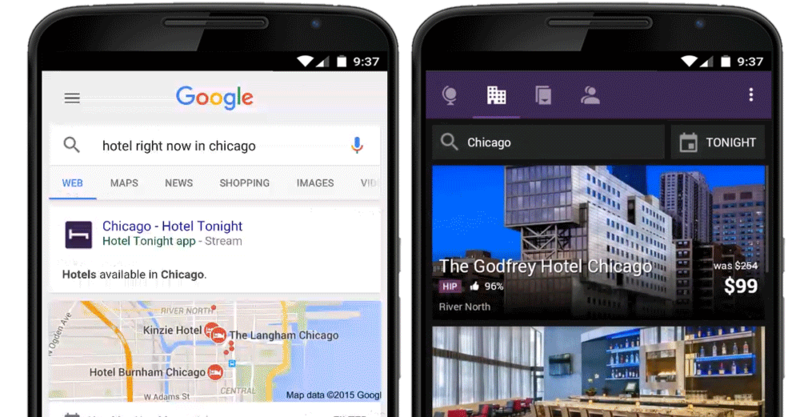 For now, the search app will only offer the possibility of streaming certain apps, including HotelTonight, Chimani, Daily Horoscope or New York MTA Subway Map, but according to their blog post, they are working on further expanding the number of partners. If they manage to perfect their app, Google’s search app could be the only one you need to install on your smartphone. In time, it could be able to stream any app you need at the time. It would be saving a lot of storage on your smartphone, and possibly even prolong battery life, since many apps use energy even when running in the background. We are eager to see what Google will manage to deliver. The idea is promising, we just have to wait for the actual result.